Electric Bicycles. Humans pale in comparison to the avian species when it comes to physical endurance but put a human on a bicycle and they are out ahead of the flock. Add some electrical assist to the equation and it becomes….a very efficient means of transportation. 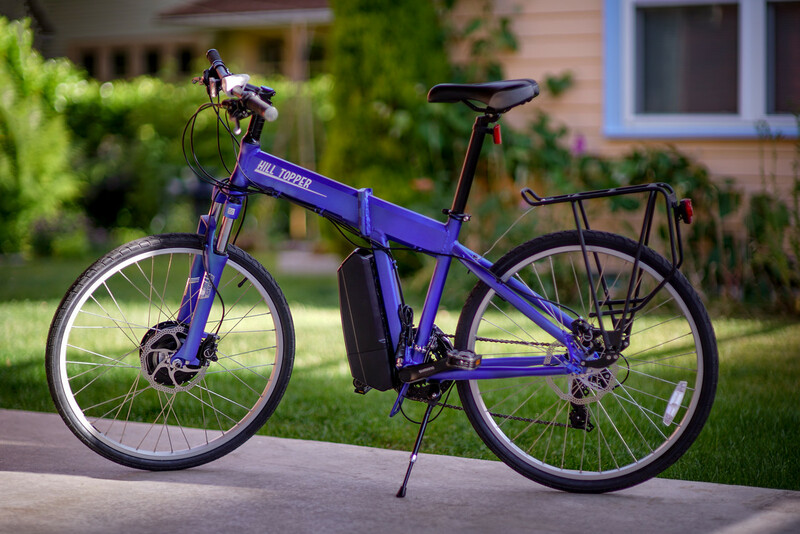 This small start up company has been in business for 9 years now in Seattle offering electric bike conversion kits so that anyone can convert and add electrical assist to their own bicycle in a matter of minutes. They are located in SODO Seattle and you can drop by too demo their products. Just last week they launched their Hill Topper full electric bike. It’s light, fast and comes with five different options of motor and battery combinations. Here is a short animation of how the Hill Topper kit is installed on your bicycle. Ukko.io is now offering their full electric bike based on this kit. I took this particular electric bicycle for a spin around Seattle. It took an average of 12 mins to go from 15th Ave on the top of Capital Hill down to Pike Place Market and the same amount of time to make the return trip. I was able to do this four times with one full battery clocking up a distance of 16 miles. That’s impressive. This whole bike setup below has a combined weight of 38 lbs and folds in half making it easy to store or put in the back of your car. The largest battery option gives you a range of 40 miles without peddling should you choose not too. (That is on flat ground and taking into account few other factors). Electric bicycles are in and they are becoming ever more popular. I make good use of bike share programs when visiting cites but unfortunately there are no public electric bike share programs yet in the US. Here in Shanghai where I am writing this from they have 620,000 bikes on the streets between 8 different companies. 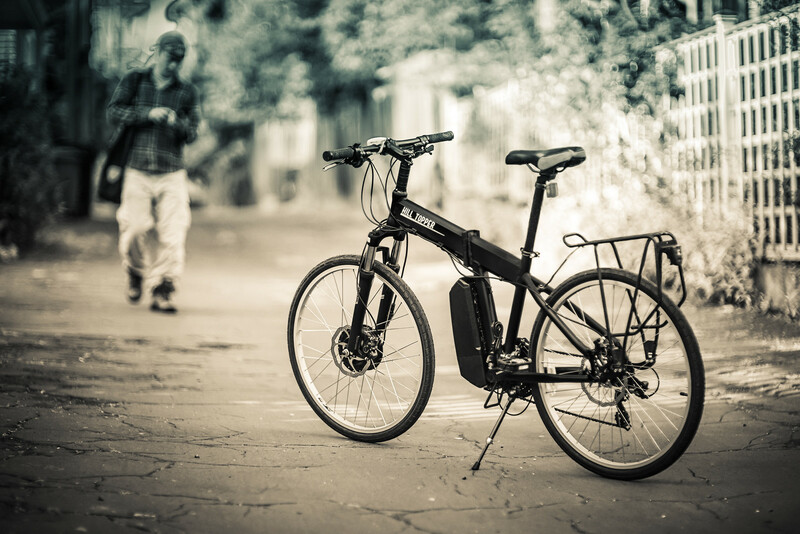 You can find electric bicycles and none electric ones on almost any street. As convenient as all these bicycles are there is a communication problem between the private companies and the local city government that needs a lot of attention. The city of Seattle recently published new requirements and established a permitting process to help avoid future problems that can be seen here in China.